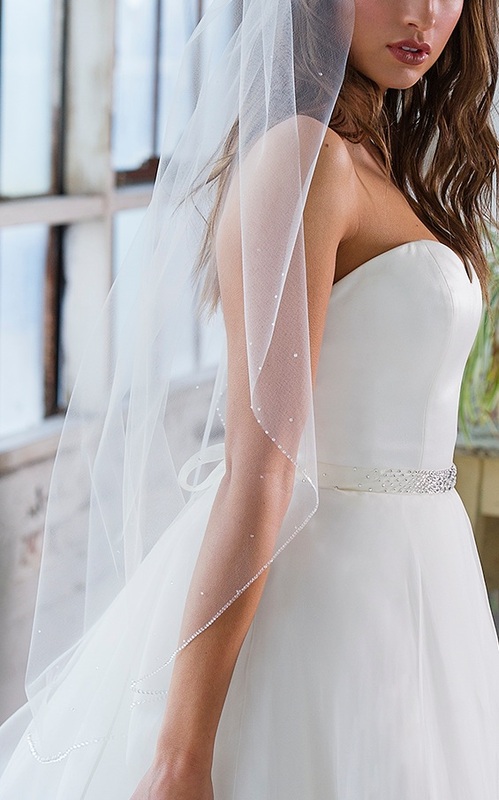 This simple and elegant oval cut fingertip length veil, is adorned with large to small Swarovski crystals. It has a single row of crystals that create a partial border to frame the bottom edge of the veil, and scattered crystals throughout. This romantic style veil is embellished with clear unfoiled Swarovski crystals to create a tonal bridal look.